Of course, Skyrim mods are not new—neither is using Skyrim mods to recreate Final Fantasy characters. That doesn't mean we are totally jaded and impossible to impress. 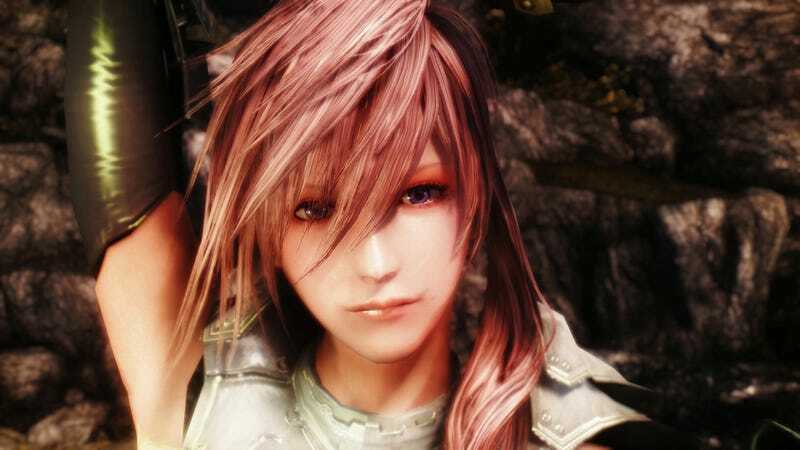 Japanese bulletin board 2ch unearthed a couple screens that apparently show Final Fantasy XIII character Lightning recreated with a "recent" Skyrim mod. Online in Japan, people are saying the Skyrim mod version of Lightning is better looking than the original character! Not sure about that, but the recreation sure does look impressive.